Put rest of the sugar into a non-stick frying pan and heat gently. Continue to stir until the sugar dissolves. Add the vanilla seeds. 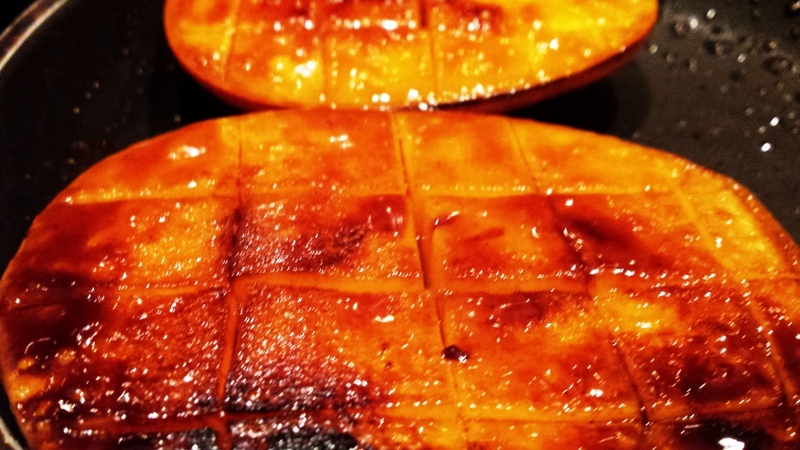 Now add the coated mango cheeks increase the heat and leave to caramelised. Continue to cook until the sugar turns into a deep rich brown colour.